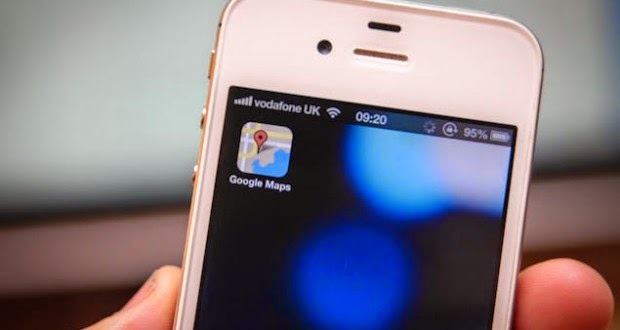 The company launched "Google" Friday a new update version of the operating system "iOS" from the application mapping service affiliate "Google Maps", to bring with him a number of new features. The aim of the company through the new version 3.2.0, which holds, to facilitate the process of browsing the search results and discover the surroundings of the user. Where the search results will appear on the map with descriptions directly, in order to help the user quickly check. And it was possible to display the search results on a map or in a list to facilitate movement between the two, as has become the application supports the display of events and bookings on the e-mail service "Gmail" on the map. The update: Friday also brings an improvement on the "Explore" Explore, which has become appears to the user places and different activities depending on the location and time specified. Users can version 6.0 and above of the system "iOS" devices to the operator company "Apple" smart, download the new version, which comes from the size of 12.6 Mbytes store "App Store."